If you are considering filing for divorce, consider completing the divorce process through mediation. 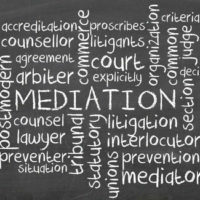 Mediation is a form of alternative dispute resolution (ADR) that uses guided discussions as a way to help a divorcing couple develop a mutually-satisfying divorce settlement. These discussions are guided by a mediator, a neutral third party who is trained in conflict resolution and mediation techniques. Many couples who choose mediation report high levels of satisfaction with the mediation process and better relationships with their former partners after their divorces are finalized. Choosing mediation does not mean that you do not need to work with a divorce lawyer. Your lawyer can ensure that your rights are not violated and that your interests are represented during your divorce. If any issues arise with your divorce, such as a false accusation of wrongdoing, your lawyer can advocate for you. He or she can also discuss the mediation process with you beforehand and go over the issues you will discuss with the mediator. Your tangible pieces of property, such as vehicles. Although the court will have some input in your timesharing plan to ensure that it meets your child’s needs, you can and should discuss your goals for coparenting and sharing time with your children during your mediation sessions. 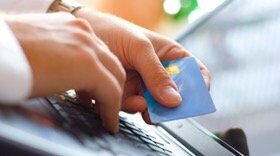 Your child support arrangement must be determined by the Florida Department of Revenue. It is based on your income and any other relevant factors, such as your child’s personal needs. With regard to your children, you might also want to discuss plans for your communication as parents, how your children will spend the holidays with you and with extended family, and how your child’s college expenses will be handled. During your mediation sessions, determine which party will cover your divorce expenses and how. You can also discuss how you will handle conflicts that arise in the future and other issues specific to your divorce, such as where your divorce will be filed. Discuss whether either of you will seek spousal maintenance and if so, the type of maintenance he or she will seek. Some couples agree to maintenance for a specified period of time or to cover specific expenses, such as the cost of a college degree or vocational training to help the receiving spouse reenter the workforce. If your marriage is no longer a healthy one and you are considering filing for divorce, consider divorcing through mediation. Mediation can save you money and make it easier for you and your spouse to complete the divorce process with minimal conflict. To learn more about mediation for divorce, contact our team of experienced Orlando divorce lawyers at Goodblatt · Leo to set up your initial consultation in our office.